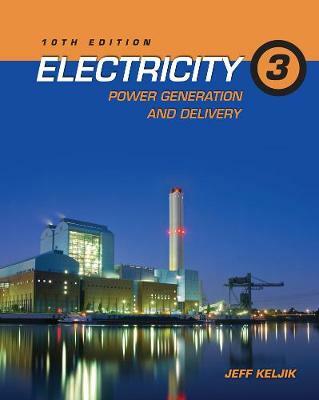 Updated to the 2011 National Electrical Code ®, ELECTRICITY 3: POWER GENERATION AND DELIVERY, 10E explores various types of generators and the delivery of single phase and three-phase power to the customer site. Its thorough coverage of power generation and delivery includes topics such as DC generators, polyphase circuits, three-phase wye and delta connections, electrical characteristics of three-phase alternators, alternative power sources, transformers, and more. An excellent resource for both novice and practicing electrical workers, ELECTRICITY 3 emphasizes electrical system operation, giving readers a solid understanding of electrical procedures and how to apply them while troubleshooting.